BRIAN WILLIAMS, anchor: is acknowledging tonight it has lost track of key information needed to identify about a third of the private aircraft in this country. There are worries inside the agency that the mess of paperwork for more than 100,000 planes could lead to aircraft being used perhaps by terrorists or drug traffickers. Officials are ordering private plane owners to reregister, while their trade association reminded everyone today that at least all pilots are licensed and registered. 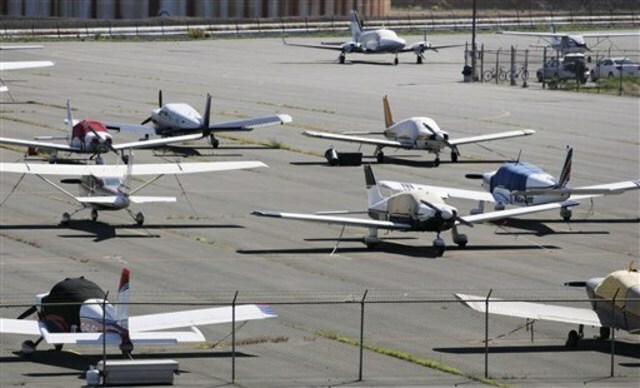 Private single-engine airplanes are parked in 2008 at Linden Airport in Linden, N.J. In order to locate thousands of planes in the United States that the agency lost track of, the FAA will begin canceling the registration certificates of all 357,000 aircraft and requiring owners to re-register.